Trees save energy, reduce stormwater runoff, enhance property values, improve water quality and make our neighborhoods more attractive. 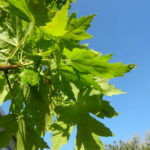 But in many urban and suburban communities, tree canopies are dwindling. Some trees are lost to development. Others are never planted or replaced due to municipal budget constraints. , director of projects for the Land Conservancy’s Thriving Communities Institute. The time to reforest our cities is now. The need has never been greater. Expertise: The Land Conservancy staff includes an urban forester based at our Thriving Communities Institute office in Cleveland. 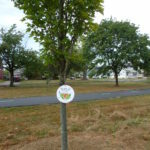 We strategically plant trees based on existing knowledge and tree inventories, which we conduct using our Geographic Information Systems and planning expertise. We manage and support all work but partner with numerous organizations. We have launched a grant program (see below) that will fund local partners such as Community Development Corporations and block clubs. We provide Tree Steward training, where citizens learn how to aid city foresters in tree care and maintenance. 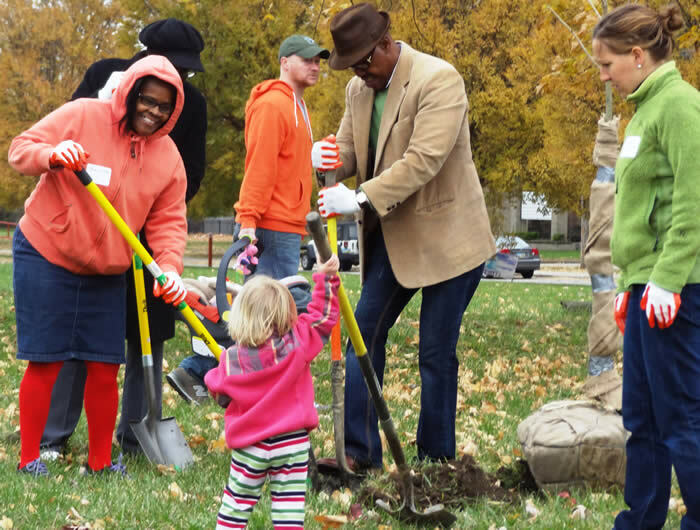 The program aims to complete major deferred street and public tree maintenance. 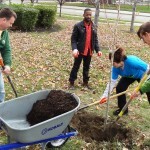 Training residents to maintain existing and newly planted trees is critical to the success of our program. We plan to purchase a trailer that will include all necessary tools for proper tree care and tree-planting events, including a water source.